In advance of Father’s Day, a poem by Benedictine College Great Books professor, Dr. Edward Mulholland. This poem was written shortly before his father, Henry Mulholland, a longtime resident of Garden City, N.Y., died in Stuart, Florida, on June 7, 2017, at the age of 78. 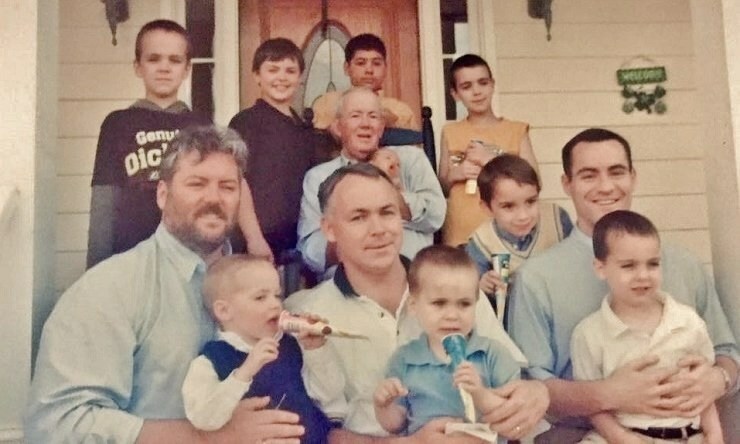 Henry was a devoted father to his five children and grandfather to 27. But not since March. And it was May. Replied that he was doing fine. Long dead, there on the small sofa. Sought Dad’s look of recognition. This poem originally appeared at Aleteia.